The 120 General fixed blade is a big, heavy duty knife. The Buck General knife has a deep clip point blade with hollow grinds and a satin finish. 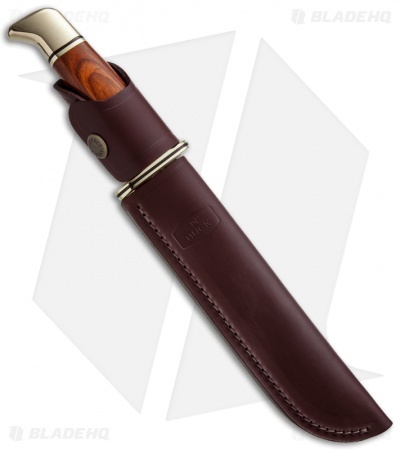 This 120 General has a Cocobolo Dymondwood handle with brass pommel and guard. Includes a leather sheath. 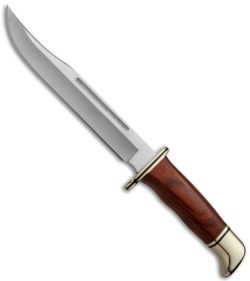 Beautiful knife, very sharp edge, would definitely recommend. Good price and came to my house very quickly. Would highly suggest this versatile knife for anyone.